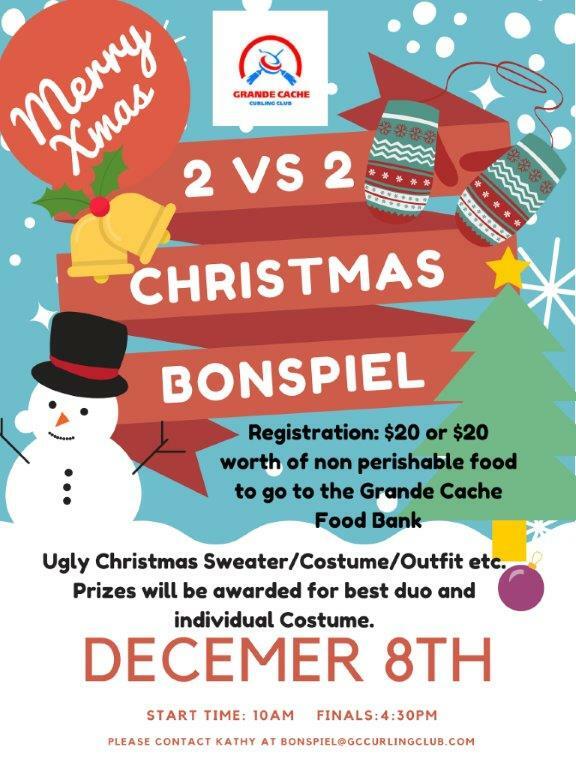 Come join us for our Christmas 2 vs 2 Bonspiel!! Come join us for our Christmas 2 vs 2 Bonspiel! The fun starts at 10:00 am on December 8th. Registration fee is $20 per team or $20 worth of non-perishable food to donate to the Grande Cache Food Bank. There will be prizes awarded for best Christmas sweater/outfit. Finals will begin by 4:30 pm depending on number of teams. Come get Chrismasy with us and have some fun! !